The administration building for the Worlds Columbian Exposition in Chicago was built in 1892. This pewter casting is an exact replica of a glass inkwell made at the fair. 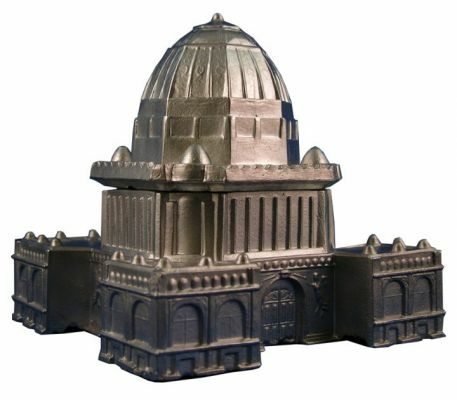 The 2 piece (removable dome) model is 3-3/4" tall and 3-3/4" square and is finished in new pewter.